"Music is psychology. And if the music does not penetrate the heart, the soul, the mind, and the body, then you ain't gonna feel it. Because reggae music is not something that you hear, it's something you feel. And if you don't feel it, you can't know it. It is a spiritual music with spiritual ingredients for spiritual purposes." It will hopefully be out before the winter. 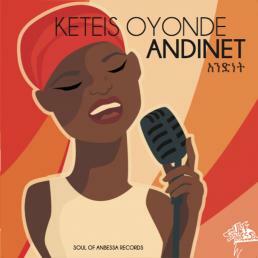 Called "Andinet" ("unity" in amharic) it'll be a 12" record at 45 RPM, including three songs from the wonderful jamaican singer Keteis Oyonde, and an instrumental by the Jamaican Soul Ambassadors featuring AlmaJah horns. The first promo clip will be revealed soon... Stay tuned !